Zone Heating – What is it and What are its Benefits? This entry was posted in Heating on January 15, 2019 by The Original Flame Author. any customers walk into our store with a common concern – Which fireplace can efficiently warm up the house, in a cost-effective way? As a homeowner, the primary objective of many of our customers is to maintain efficient heating of the home, while keeping the energy cost as low as possible. The perfect solution for this is ‘zone heating’. Today there are many propane and natural gas heaters that not only warm up the house but also help you save on the energy bill. They are nothing like the standard centralized heaters of the past years. The modern heating appliances add warmth and charm to a room, enhancing the value of the house. A heater that offers zone heating will help you accomplish your goals and maintain your fireplace as well. Zone Heating is an effective tool that helps in conserving energy, saving fuel and saving money. So, let us go ahead and take a look at what zone heating is exactly and what benefits it has to offer. The traditional heating systems that are used in many homes are centralized in nature and control the temperature of the entire house as a single unit. On the other hand, the new evolved heating systems allow you to control the temperature in different zones or rooms of the house independently. This assures that your comfort is maximized while paying only for the zone that is in use. Therefore, zone heating is an effective tool that allows you to adjust the heating in various zones within the house based on your preferences and environmental conditions. Zone Heating can be achieved by installing one or more modern gas fireplaces in the house. You can also achieve zone heating by using a fireplace insert that offers the same. What is to be noted here is that modern gas fireplaces and inserts are much more efficient than traditional fireplaces. When used with zone heating, they are believed to offer energy savings of 20-40 percent, operating at high efficiency. Zone heating systems heat your house by dividing it into specific zones and targeting the specific areas that are used the most. The zones are equipped with a separate thermostat, allowing you to set a different temperature for each one. This ensures that you get the required balance of warmth and radiant, in the place you need it. The thermostats in the different zone are connected together by a control panel that allows you to operate the heating system. This ultimately gives you supreme control over the heat and cold in the room, allowing you to regulate the generation and flow of heat from one room to the other. To put it into a better perspective, let us consider a simple situation and see how zone heating can be beneficial in this case. For a family home, the house is generally divided into two separate zones. The main floor consisting of the living space and kitchen as one, and the upper floor with the bedrooms as the other. The fireplace or insert is then used to heat the main floor during the time you are using that area. and the upper floor at night. This ensures that the unoccupied areas of the house are left unheated cooler when not in use and all the heat is properly utilized for heating the occupied portions. A house that is properly divided into separate zones for heating will ensure that there is no wastage of energy. You can keep the heating switched off for places like guest rooms and storage areas, that is not used much. This will prevent wastage of heat energy. With zone heating, you can save significantly on your heating costs. Efficient zone heaters release warmth directly into the space you wish to heat, with almost no cycling losses. The components of these heaters are light in weight and enable the heater to quickly heat up and reach its optimum efficiency within a few minutes. Since the heater works so quickly and you can control it with a thermostatic function, it only runs as long as needed.you do not need to keep the heater running for long. This decreases the cost significantly. The use of zone heating allows you to say goodbye to furnace usage in the spring and fall months while reducing it in the winter months. This again helps you to cut down costs without compromising your comfort. Zone Heating eliminates the occurrence of over-heating. In many cases, using a centralized heater means that you need to overheat some parts of the house to attain a comfortable temperature in a specific area. This not only means an overuse of the heater but also results in acute wastage of fuel and high heating costs. With zone heating, the temperature can be adjusted for the colder parts of the home, eliminating such occurrence. This also means that you will be able to maintain a comfortable temperature throughout the house. Thus, it can be easily said that zone heating is an effective way of maximizing heat and minimizing the cost incurred for it. To avail the benefits of zone heating, all you will need to do is simply install a gas fireplace. Gas fireplaces are easy to maintain and install. They are also very convenient to use as they can be easily controlled by a switch or a remote control! Further, these heating fireplaces warm up very quickly, ensuring that you do not have to stand the cold for long. So, the next time you think of buying an efficient fireplace, remember to install it in the area where you spend the most time and enjoy the benefits of choose one that offers zone heating! 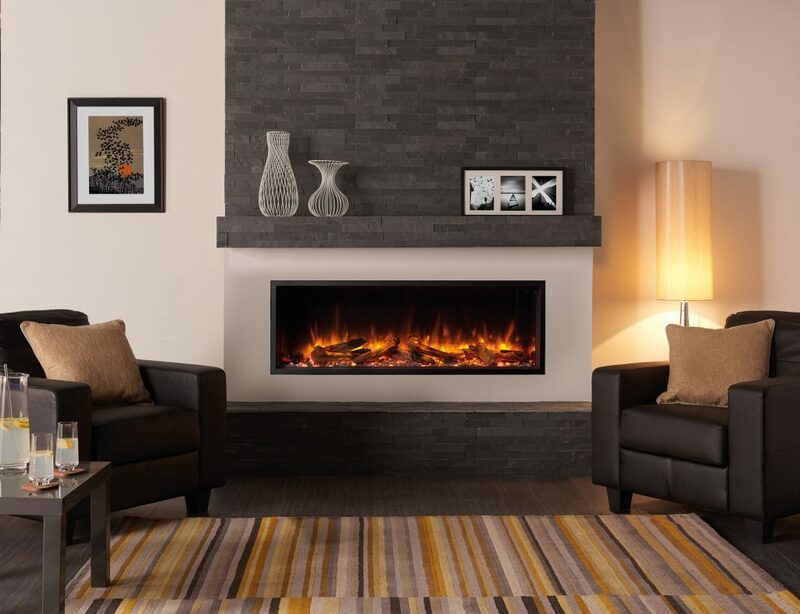 At The Original Flame, we supply both natural gas and propane fireplaces. With a team of certified professionals, we also cater to the installation and maintenance of the fireplace.